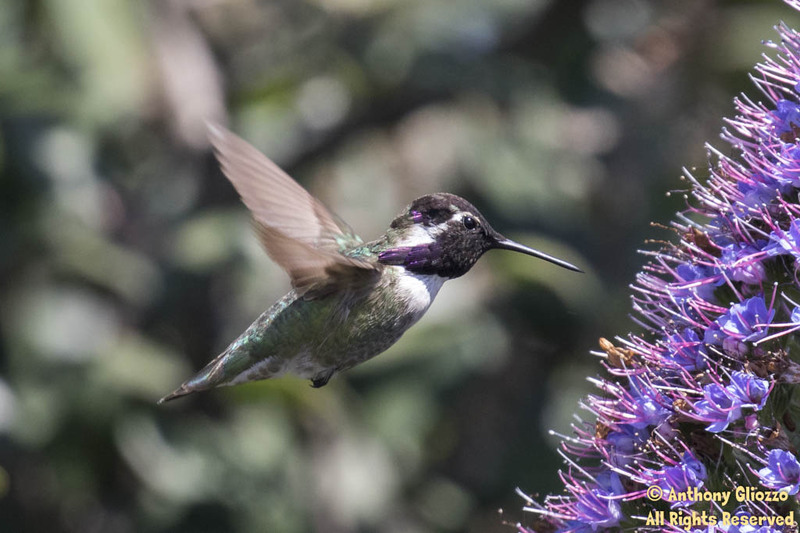 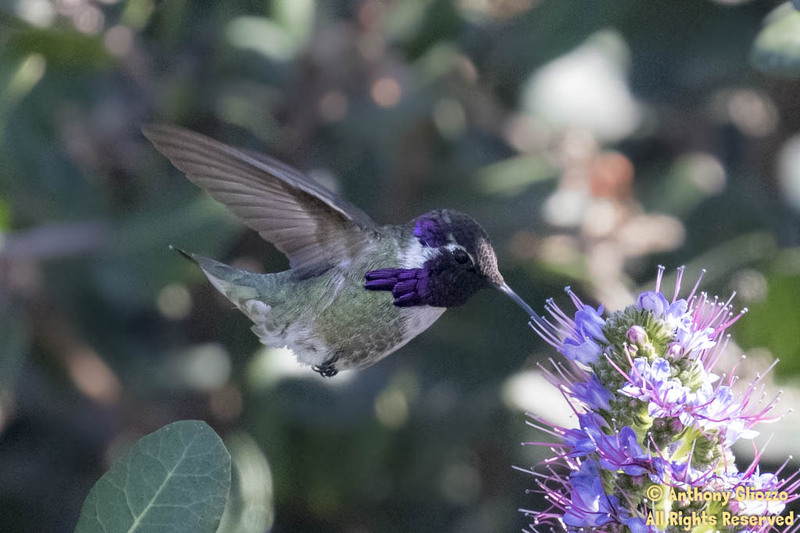 After two attempts at trying to locate the unique Calliope Hummingbird at Moulton Meadows Park In Laguna Beach, all efforts failed however as with most bird outings, the element of surprise is what kindles the intrigue. A brief glance of this in flight raptor was enough to determine the Gray Ghost was in town. The distinguishable white band in this shot below was enough to make a positive ID. 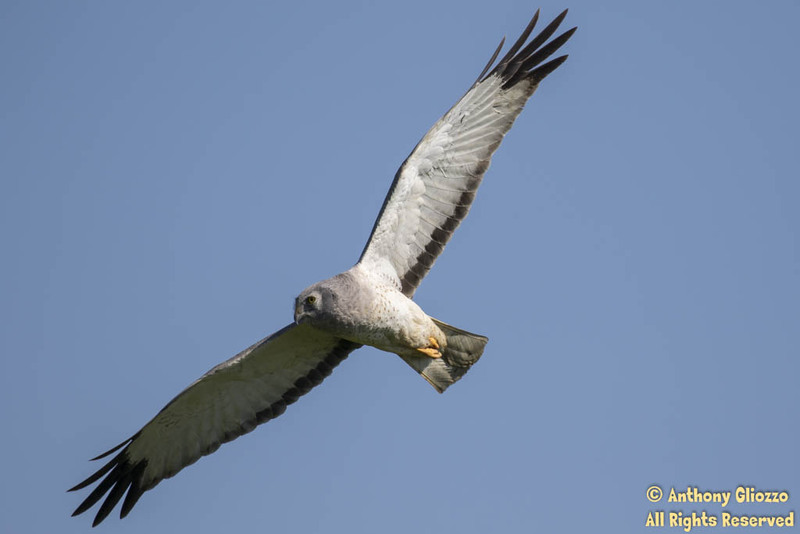 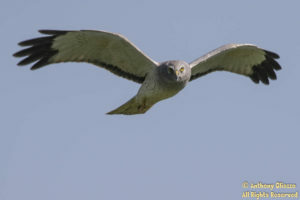 With this info at hand, its behavior was also key, flying low just above the mustard in search of prey, was another characteristic of the Northern Harrier. 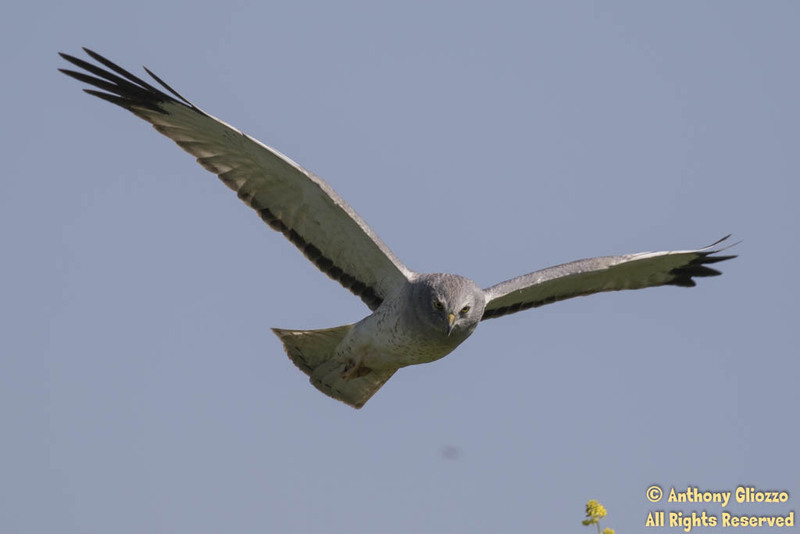 With this info in hand and its infrequent appearances, a foot pursuit began to acquire proper images. Setting the camera to AI Servo mode for in flight tracking and a shutter speed of 1/1600 were the chosen settings. 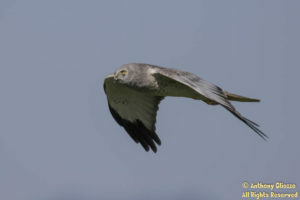 This would permit a low ISO (for less grain) and sharp in flight images as the key light (sun) was optimum. 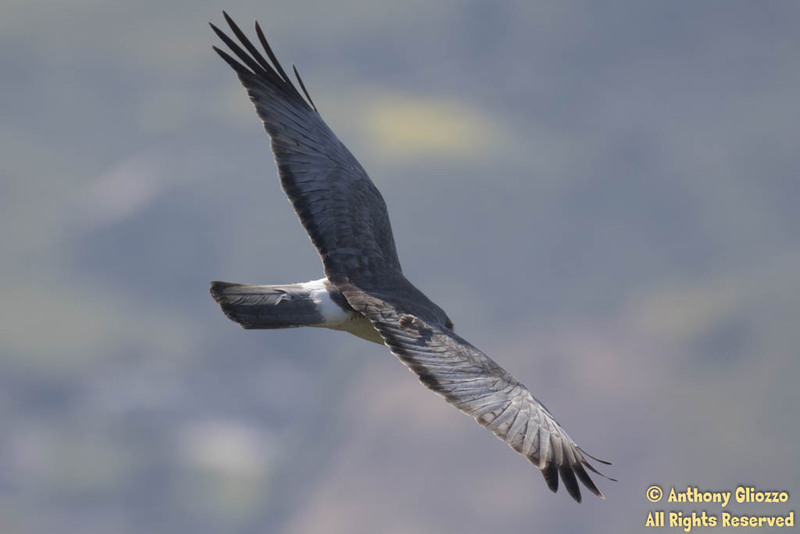 I had good views at almost eye level which offered an ideal opportunity for images. 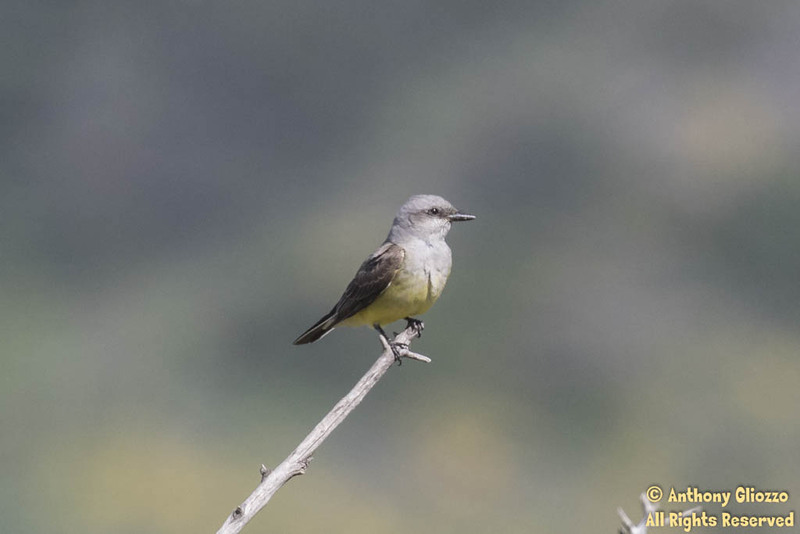 Also of notable mention were a Costa’s Hummingbird and a Western Kingbird in which images are also included below. Click any image for larger view.